Chasing Moonlight giveaway: win a free copy! Happy opening day! We’ve got good news for all you baseball fans: we’re giving away TWO copies of Chasing Moonlight: The True Story of Field of Dreams’ Doc Graham, a biography of Moonlight Graham by Brett Friedlander and Robert Reising. Just released in paperback, Chasing Moonlight proves that truth is more interesting than fiction. The real-life Moonlight Graham didn’t play just a half-inning for John McGraw’s New York Giants, as depicted in Field of Dreams. Neither did he retire from baseball after his lone major league appearance. Rather, he became a fan favorite during a noteworthy professional career, all the while juggling baseball with medical residencies. Want a chance to win a copy of this book? Go to our Facebook page and “like” the cover image of Chasing Moonlight. We’ll choose two lucky winners from that image next Thursday, April 7. Good luck! Over the next few months, the Blair staff will be going on their own animal adventures throughout the state, armed with Jennifer Bean Bower’s Animal Adventures in North Carolina. First up: Angela, our VP of sales and marketing, takes us to Hawkesdene House in Andrews, N.C., a mountain retreat where visitors can take a llama trek to a mountain top, discover to a” hidden” waterfall, or pan for gold without leaving the estate. As soon as I read the first entry in Jennifer Bean Bower’s Animal Adventures in North Carolina, I knew I was going to love the book. Hawkesdene House, described as “a luxurious retreat that encompasses twenty-six acres of picturesque beauty in a scenic mountain valley at the town of Andrews,” was the first to offer llama treks in western North Carolina. After I discovered that this “luxurious retreat” was surprisingly affordable, especially in the off-season, I invited two other couples to join me and my husband, Jeff, at a three-bedroom Robinsnest Cabin for the last weekend in February—and prepared ourselves for a winter mountain retreat replete with llamas! Although I’d seen pictures of Hawkesdene’s cabins online, I was not prepared for the combination of rugged mountain lodge and luxurious comfort that awaited us. Our cabin featured an enormous screened-in porch with tons of outdoor seating and an eight-person fire pit with complimentary firewood. Did I mention the gorgeous view? Or that Hawkesdene’s grounds border the Nantahala National Forest with access to a number of hiking trails? Oh, and don’t forget the llamas! Tempted never to leave the comfort of the cabin, we nevertheless headed out to meet the llamas—Hawke, Dene, Crazy Horse, and Scooter—who are guarded day and night by a loyal Great Pyrenees named Claude. Hawkesdene offers llama treks to the summit of Hawksnest Mountain from April to October, where they then serve guests and visitors a three-course meal at the Hawkesdene Pavilion. Since we visited in February, we hiked to Hawksnest sans llamas. We also enjoyed a two-mile round-trip hike into Nantahala National Forest to a splendid “hidden” waterfall. We went to the see the llamas, but Claude, the Great Pyrenees, stole the show! Our group visited Joyce Kilmer Memorial Forest off the Cherohala Skyway, where we hiked through one of the nation’s last remaining old-growth forests. Many of the trees are over 400 years old, measuring twenty feet in circumference and reaching 100 feet tall (offering opportunities for fabulous photographs). Our winter hike was especially impressive as the lack of foliage revealed the bare bones of the forest, and a recent ice storm caused many of the dead or dying trees to snap, splinter, and fall in fantastic and frightening ways. We felt we had walked into a dystopian novel featuring a dead forest. Warnings to be alert and not to linger under dead or dying trees added to the sense of danger—we even saw shards of splintered wood jabbing out of the trunks of surviving trees, so much was the force of the wind, storm, or breakage. For more recreational activities around Hawkesdene House, check out Touring the Western North Carolina Backroads by Carolyn Sakowski (the third edition will be published this October), North Carolina Waterfalls by Kevin Adams, Hiking North Carolina’s Lookout Towers by Peter Barr, and Fishing North Carolina by Mike Marsh. Animal Adventures in North Carolina is available at your local bookstores and through online booksellers, and Jennifer Bean Bower has events scheduled at bookstores across the state (visit our events page for an event near you). In the meantime, check out this top-ten list of some of the lesser-known animal adventures in North Carolina. Happy travels! Here I am with my husband, Jeff, and our Akita, Uma. 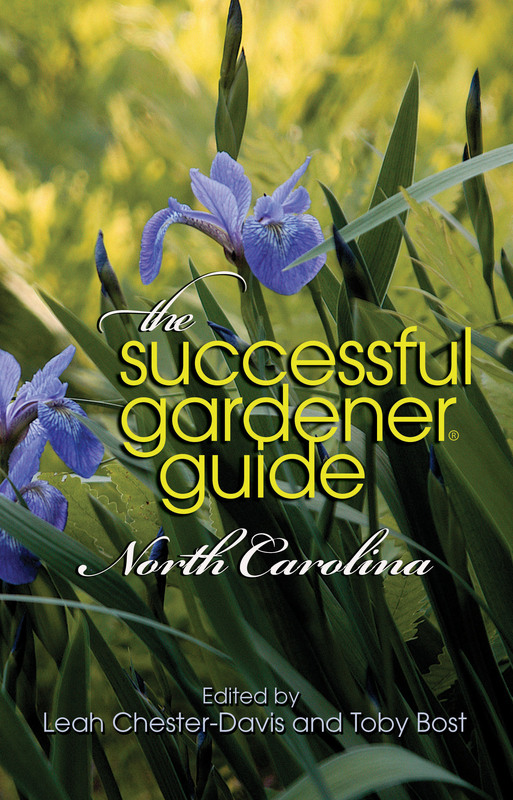 Toby Bost, coeditor of The Successful Gardener Guide: North Carolina with Leah Chester-Davis, is signing books tonight at the Single Brothers Workshop at Old Salem. Toby will share a slideshow presentation and talk about his book, then answer your toughest gardening questions. The event will end with a raffle drawing–one lucky attendant will win a garden-themed gift basket. So what do you need to know to get there? When: Thursday, March 24 at 5 p.m.
Did you catch Jennifer Bean Bower on WFMY yesterday morning? She joined the morning show to discuss a few of the lesser-known animal attractions in North Carolina, and we’ve got a few more to highlight for you today. You can find more about these sites (and 60 others) in Animal Adventures in North Carolina. The book is available at your local bookstore, through online booksellers, and at our website. 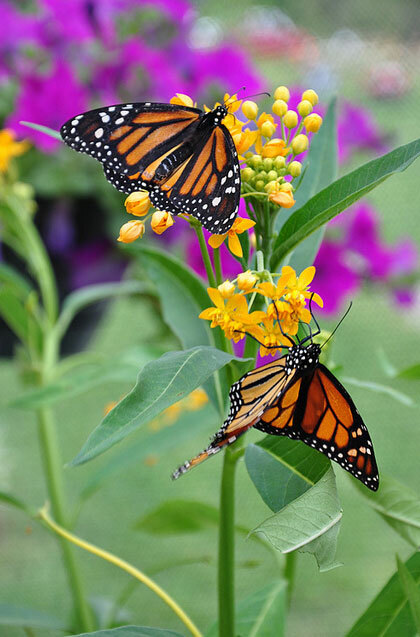 Monarch butterflies at all-a-flutter Butterfly Farm. Franklin poses for a photo at the Karen Beasley Sea Turtle Rescue. River, the "ambassadog" at Full Moon Farms. "Like" her on Facebook! A perfect guidebook for families or anyone who just loves animals, Animal Adventures in North Carolina shares 70 animal attractions that Jennifer Bean Bower personally discovered throughout her travels of the entire state. Each entry provides contact information, driving directions, possible fees, hours of operation, and useful travel tips, accompanied by photographs and detailed descriptions of the attraction’s offerings. 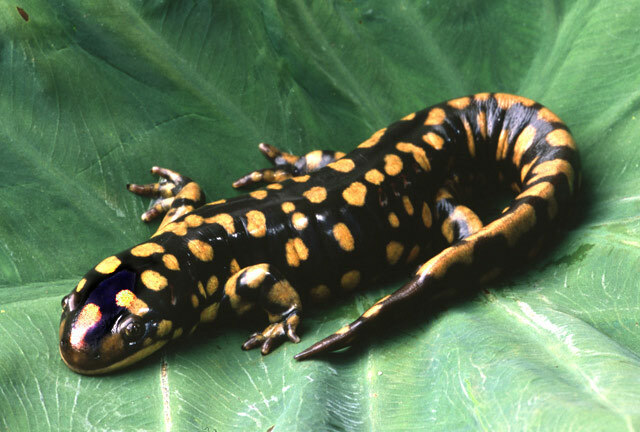 Tuesday, March 22, at 7 p.m.
SciWorks will bring a live salamander and other animal-related goodies. Thursday, March 24, at 7 p.m.
Conservators’ Center will bring two irresistibly cute Geoffroy’s cats (miniature leopards that max out at about 10 pounds). You can view Jennifer’s full tour itinerary here. If you can’t make it to the Greensboro signing, you can see a Geoffroy’s cat (and many others from the Conservators’ Center) in action, playing an iPad “game for cats”. Enjoy! ForeWord Reviews’ Book of the Year Awards program was established to help publishers shine an additional spotlight on their best titles and bring increased attention to librarians and booksellers of the literary and graphic achievements of independent publishers and their authors. Award winners are chosen from real librarians and booksellers, who are on the front lines everyday working with patrons and customers. The finalists were selected from 1400 entries in 56 categories. These books are examples of independent publishing at its finest. Look for the winners to be announced in June. Congratulations to our authors for their stellar work! Tagged banktown, Becoming Elizabeth Lawrence, Blair Publisher, Book of the Year Awards, emily herring wilson, ForeWord Reviews, I Love You--Now Hush, James and Suzanne Gindlesperger, Kathleen Koch, Melinda Rainey Thompson, Morgan Murphy, rick rothacker, Rising from Katrina, So You Think YOu KNow Gettysbury? Yesterday marked the 175th anniversay of the fall of the Alamo. If you didn’t already know, the battle was a pivotal event in the Texas Revolution. Following a 13-day siege, Mexican troops under President General Antonio López de Santa Anna launched an assault on the Alamo Mission near present-day San Antonio, Texas. All but two of the American-frontier defenders were killed–including Davy Crockett–and the mission fell. For those who want to learn more about that “king of the wild frontier,” check out In the Footsteps of Davy Crockett. The book, by Randell Jones, shares the fascinating life of America’s favorite frontier hero by taking you to 49 sites in 10 states plus the District of Columbia where Crockett’s adventures are commemorated. He ran away from home, fought renegade Indians, hunted bears, campaigned for office, served in Congress, and died a hero in Texas. This book reveals a man who was even more interesting—and certainly more complex—than the myth surrounding him. This book tells his story at the very places where he lived and breathed. In Baltimore, you can visit the waterfront where the young Crockett tried to sail for England as a cabin boy. Around Reelfoot Lake, you can see the country where he killed 105 bears in one season. In Memphis, you’ll see where he arrived in town stark naked following a barge wreck on the Mississippi. Around east-central Alabama, you can find the markers describing a massacre of Indians by Crockett and soldiers. In Philadelphia, you’ll see where he railed against President Andrew Jackson while promoting the sale of his own autobiography. Throughout east Texas, you’ll visit the places along his route to the Alamo. Crockett was born poor, had little education, and was labeled a buffoon by some. Yet he is revered today as a unique hero of the American frontier. There’s more to learn at Randell Jones’s website. Enjoy!